The zebotec monitoring and control systems monitor the power plant during operation and ensure quick troubleshooting. 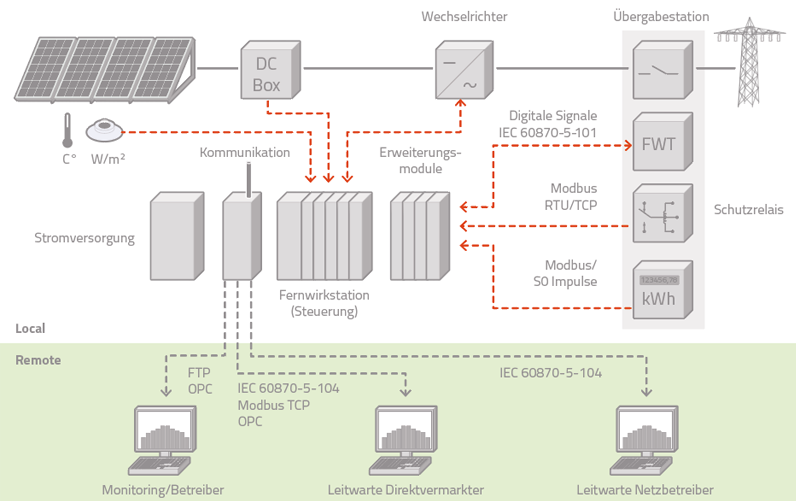 The park controller assumes all tasks for grid security management as specified in section 9 of the German Renewable Energy Sources Act (EEG), while handling reactive power control and the direct marketing of the solar power generated. The park control system can be combined with the zebotec data logger. It is manufacturer-independent and collects the PV installation data from the inverter, the environmental sensors and the feed-in point. All data is stored locally, and is sent to the zebotec SCADA monitoring software or an external monitoring system for real time evaluation. zebotec has developed flexible technology solutions for controlling and monitoring PV plants. Our modular system, which includes both hardware and software components, allows us to offer cost-efficient solutions customized to suit every solar installation. Our power plant control system has been tried and tested for over 15 years. Currently over 500 projects worldwide with a total output of 1 gigawatt are professionally operated using a zebotec data logger and park controller. 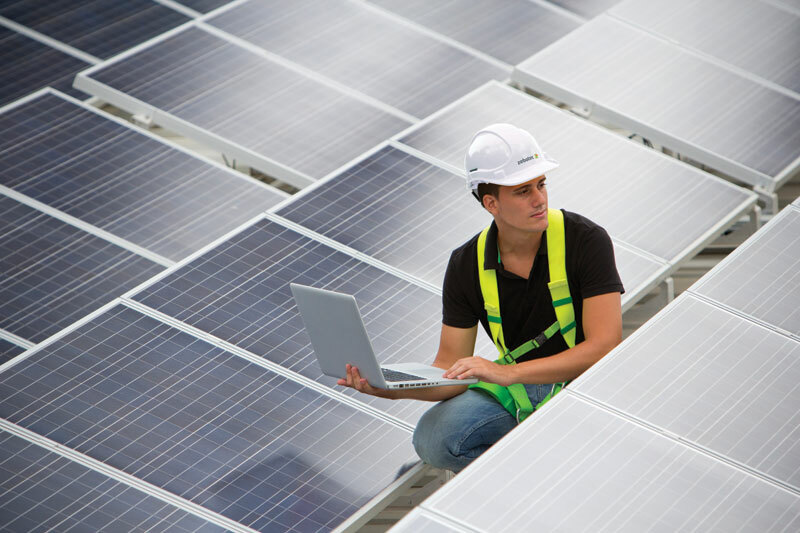 We are the first certified Phoenix Contact solution partner, delivering solutions for controlling and monitoring PV installations based on industrial controllers (PLC). We supply customised system solutions based on a modular principle – for controlling and monitoring individual installations and entire power plant portfolios. zebotec’s control systems dynamically regulate real and reactive power at grid connection points. Actual power plant readings are taken from existing measurement systems, or using a grid analysis device from zebotec, and then transmitted to the control system. 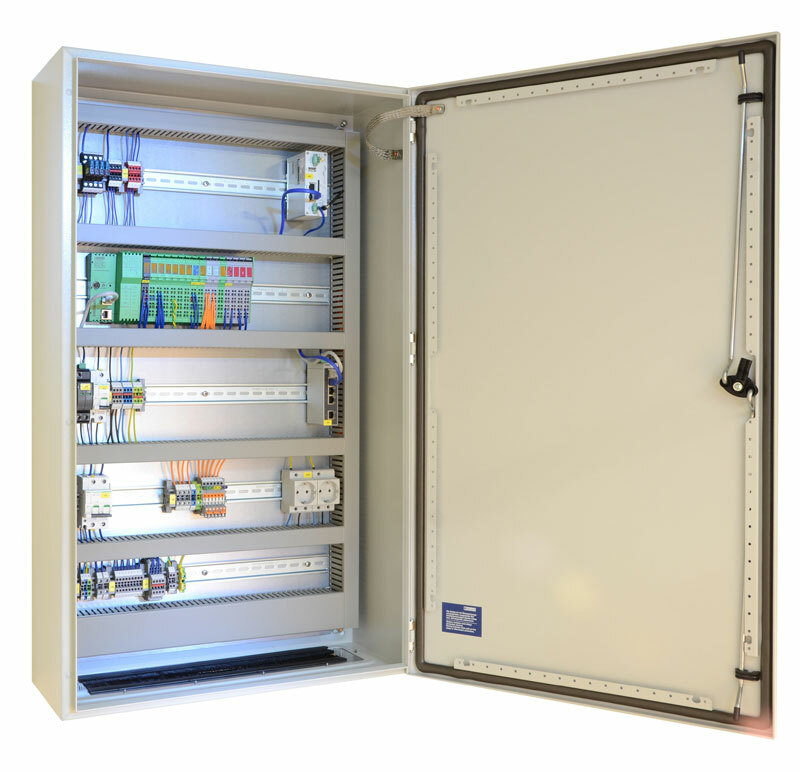 The zebotec plant controller is approved for installations with a medium voltage certificate. This hardware can be used with all standard interfaces and meets the requirements laid down in the German Renewable Energy Sources Act (EEG), guideline VDE-AR-N 4105 from the Association for Electrical, Electronic & Information Technologies (VDE), the German Association of Energy and Water Industries (BDEW) medium-voltage grid guideline and technical directive No. 8 issued by the German Association for the Promotion of Wind Energy and Other Renewable Energy Sources (FGW). Thanks to our flexible power plant control system, the zebotec data logger can be used in conjunction with all standard industrial system components – from any manufacturer. The logger collects data from inverters, environmental sensors, generator terminal boxes and other sensor technology, which is then transmitted to zebotec SCADA monitoring software or external monitoring systems in real time. In addition to providing digital and analogue signals for securing the feed-in management, the plant controller is compatible with the most common telecontrol protocols (e.g. IEC 60870-5-101/104). It has been successfully introduced by a large number of grid operators such as EnBW, E.ON Edis, Bayernwerk and TEN Thüringer Energienetze GmbH. The park control can be expanded at any time to include a direct marketing control unit. If a zebotec VPN router is installed for this purpose, it can easily be adapted to meet the safety requirements of the direct marketer. zebotec offers the option of integrating the control system with a VPN network for remote maintenance of the solar installation. Remote maintenance save costs in the case of future system modification. As all zebotec control solutions include an integrated web server. Real-time installation data can be viewed at any time, from anywhere in the world. This makes it possible for our service team to identify errors in power plant operations remotely. Thereby fulfils the requirements laid down in the German Renewable Energy Sources Act (EEG), guideline VDE-AR-N 4105 from the Association for Electrical, Electronic & Information Technologies (VDE), the German Association of Energy and Water Industries (BDEW) mediumvoltage grid guideline and technical directive No. 8 issued by the German Association for the Promotion of Wind Energy and Other Renewable Energy Sources (FGW). Customized systems facilitate the highest level of flexibility and cost optimization. The simplicity of the system ensures easy installation and convenient maintenance throughout.